To understand the improbable metaphysical conclusions that Clive Hamilton draws from Earth System science in Defiant Earth, we need to take a look at his conception of geological history. It’s a conception that relies on his dualistic theory of agency, whereby everything hinges on how much “power” humans can exert against nature, and nature against humans. Unlike the “post-humanists,” Hamilton will acknowledge “our actual power over nature” (p. 90). And unlike the ecomodernists, with their fantasies of Godlike omnipotence, he will acknowledge nature’s countervailing power against us. Hamilton’s theory is that both humans and nature used to lack such power. But now “humans are more powerful; nature is more powerful”: “a power struggle between humankind and Earth is underway.” “Humans and nature” are locked in “a conjugal war in which neither is able to divorce the other” (pp. 45, 142). Let’s unpick that. Nature is more powerful now compared to when? Compared to the Holocene epoch. “The forces of nature have been roused from their Holocene slumber.” “Nature as the Earth System has in fact come alive or (perhaps a better metaphor) is waking from its slumber.” “The Earth has been roused from its peaceful Holocene slumber” (pp. 45, 47, 86). This repeated claim, vague as it is, seems to me the central failure or blind-spot in Hamilton’s thinking. Can any sense be made of Hamilton’s assertion that nature has got more powerful, or is that a claim equivalent to saying that Wednesdays have turned yellower or that The Merry Wives of Windsor has developed high cholesterol levels? Probably the latter, but it’s worth taking some care here. As I write, Hurricane Irma is tearing up the Caribbean. It’s the strongest recorded hurricane in the main Atlantic basin (outside the Caribbean Sea and Gulf of Mexico), and it’s setting various other records for sustained wind intensity. We can take Irma as a symptom of tropical cyclones becoming more powerful than they used to be. That is in turn a symptom of something still bigger. The Earth is currently in a condition of energy imbalance: it’s absorbing more solar radiation energy than it’s re-radiating to space. Hence, the amount of energy contained in the climate system is increasing (at a rate equivalent to four Hiroshima bombs per second); the additional energy is mostly heating up the oceans, and that warmth is fuelling hurricanes like Irma. So (part of) the Earth System is more energetic than it was twelve months ago or a hundred years ago, and that increase in energy manifests itself partly in sublime phenomena that have an antagonistic relationship to human-built infrastructure like houses and power lines. Does a concrete observation like that substantiate Hamilton’s claim that “nature is more powerful” now? I don’t see how it can. The global climate system might well now contain slightly more energy than it did during even the warmest part of the Holocene, and its energy levels are certainly increasing more spectacularly than at any point in the Holocene. But the planet was warmer during the Eemian, and much warmer during (for instance) the Cretaceous hothouse. No-one would say that “nature” didn’t exist prior to 9700 BC, so if “nature is more powerful than it used to be” = “the Earth has more thermal energy than ever before” then it’s false. But even that is obviously an implausibly restricted way of interpreting what Hamilton is saying. “Nature” is a much more general concept than “climate” and “power” is a much more general concept than “heat.” “Nature,” presumably, can equally well display her power by getting very cold, and blanketing Wales and New York in massive ice sheets. Or by fostering a continent-wide forest full of biodiversity, or by unleashing a supervolcano, or by visiting a civilization-ending drought on the Maya, or by spending millions of years grinding a mountain range into nutrient-rich soil. In short, it’s meaningless to talk of “nature” as having either more or less “power” at one time than at another. The category doesn’t apply, any more than days of the week have particular colours. Geohistory has always been a turbulent flow of singular and unpredictable events. Dynamic and startling forces have been transforming the Earth one way and another ever since the Late Heavy Bombardment. The Earth has always been susceptible to flux, happenstance, and sweeping reconfiguration—including during the Holocene epoch itself (vide the 8.2 kyr event, the mid-Holocene climate transition, the 4.2 kyr event, and innumerable other climatic, biotic and hydrological upheavals). It’s an anthropocentric delusion to suppose that the world is merely passive, static and boring in the absence of human agency. What’s more: the demolition of that fallacy has been accomplished by the very same Earth System science that Hamilton claims to admire so greatly. The epochs preceding the Holocene are simply absent from Defiant Earth, not part of Hamilton’s worldview. There is only a single event in his world history: the replacement of the slumberous Holocene by the wakeful Anthropocene. I criticized this way of thinking again and again in my book. I said there that if you reduce all of history to a Holocene/Anthropocene dyad—or even if you misunderstand the Holocene as a holiday from geohistory, a benign interval of Earth System slumber that serves as a firebreak from the rest of geologic time—there’s no way that you can understand the versions of the Anthropocene put forward in the geological sciences. Hamilton falls into precisely that trap. This wonky metaphysics is connected to something else. Even readers who couldn’t care less about either Schelling or the Late Heavy Bombardment might find themselves dissatisfied by Hamilton’s related treatment of the politics of the Anthropocene. It all comes back to the question that so exercises Jason Moore and the Capitalocene school: does the idea of the Anthropocene treat human beings as an undifferentiated mass, all equally responsible for the state of the planet no matter what their station in life? “At worst” is noteworthy. Perhaps Crutzen wasn’t premature at all: “humankind became a unified entity—the anthropos— for the first time only in the second half of the twentieth century” (p. 49). Hamilton refers throughout the book to today’s human beings as a single, undifferentiated moral agent: “Humankind is now confronted with a momentous decision…,” “…the true burden that humans carry…,” “human salvation is to be … worked out in practice on Earth by humans together exercising self-restraint” (pp. 9, 44, 120). The “self-restraint” stuff is of a pair with the stuff about “responsibility” that Hamilton will later disavow. But for now: who ought to be exercising self-restraint? Exxon executives, or Rohingya families who’ve just made it across the Bangladesh border? That seems to be a false distinction in Hamilton’s eyes, although his focus is on China rather than Burma. 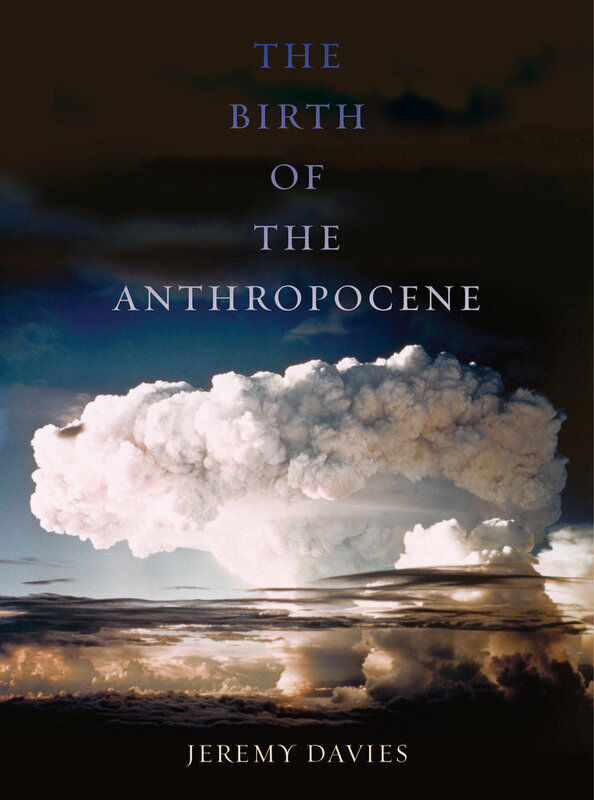 The world of the Anthropocene is “a world created by the West” (p. 58), but if non-Westerners don’t have any original historical agency of their own they are nonetheless able to share fully in Westerners’ guilt. There are two things about this that make me roll my eyes. Firstly, that Hamilton’s most fine-grained unit of analysis (barring a quite different and more interesting paragraph about Korean politics, p. 32) is the nation-state. China makes decisions; China exerts (inevitably) “power”; China must take the blame. The princeling, the Foxconn worker, the party official reporting on local pollution, the Hong Kong businessman, the Hmong peasant farmer, and 1.38bn others… they don’t seem to register. Nor do wars, trade regulations, financial markets, loanbooks, bureaucracies, or any of the systems and structures within which people and organisations actually come into being and act in the world. There are just a handful of states exerting their power against some unspecified backdrop, awaiting their merger into the absolutely undifferentiated “humanity” that will later be found at war with nature.